For January, I chose Convo Me to kick off the year. I couldn’t resist these bright colors. These went on the needles, I not long after the ball dropped and I think the first sock was done that evening. The second one took me a bit longer, but I was casting on all the things for all the KALs. 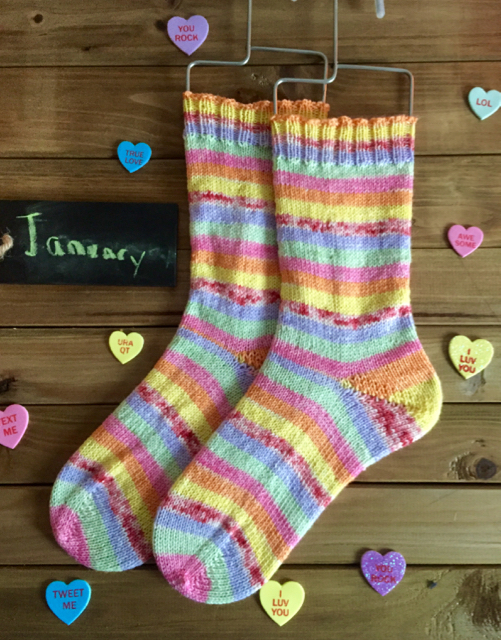 I really loved how these colors look together and these are perfect Valentine’s Day socks. 1 out of 12 down. I’ve got my yarn picked out for my next pair which I’ll cast on later today.